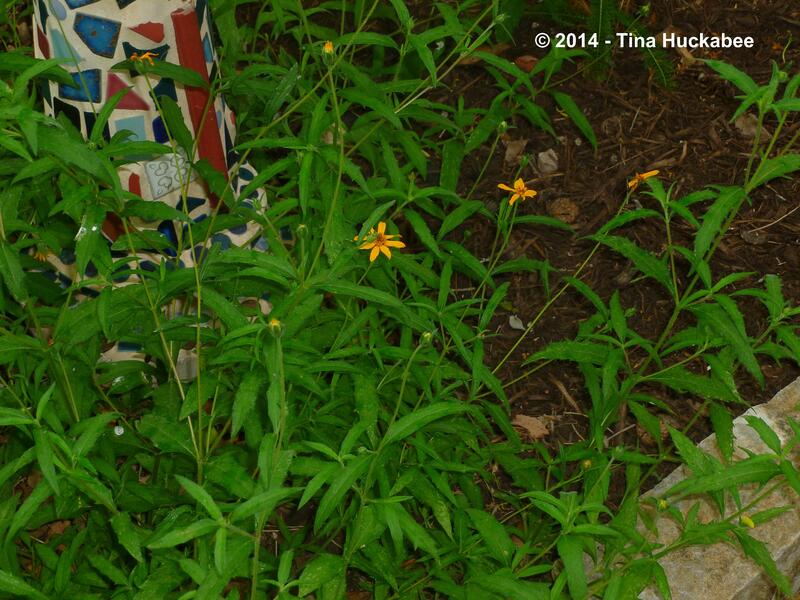 As we roll into our long warm season here in sunny Austin, Texas, perennials segue from the early cool season blooms to heat-loving (or at least heat-tolerant) late spring/summer blooms. 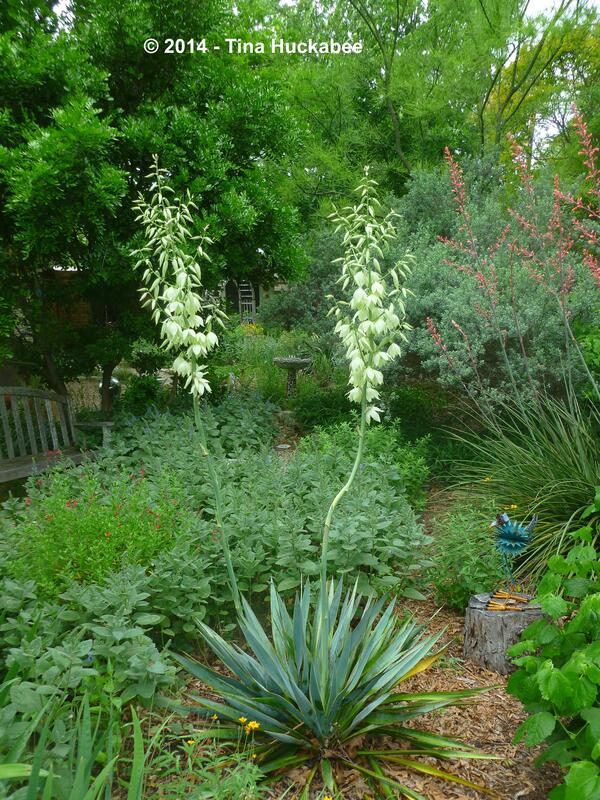 Several different native yucca plants grace my gardens this May, such as a Pale-leaf Yucca, Yucca pallida. will bloom continually until fall. 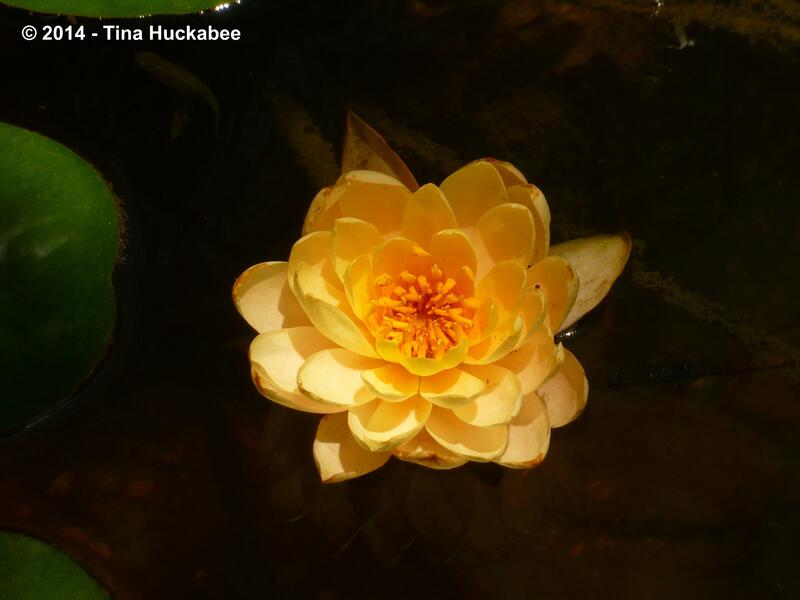 The flowers are delicate looking and favored by hummingbirds. Another native yucca, Twistleaf Yucca, Yucca rupicola, shot up a bloom stalk this spring. 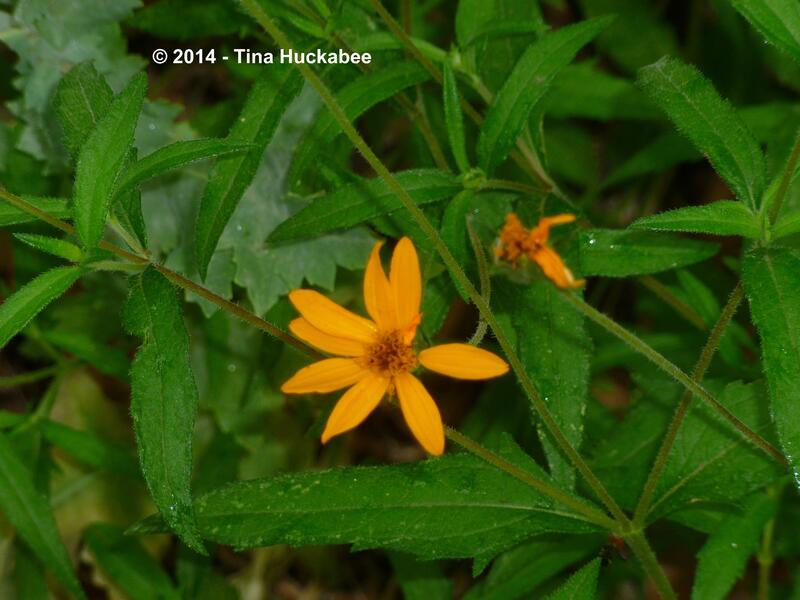 Heat-loving Zexmenia, Wedelia texana, begins its long bloom cycle in May. This hardy perennial blooms prolifically throughout our hot summer and into the cooler October. 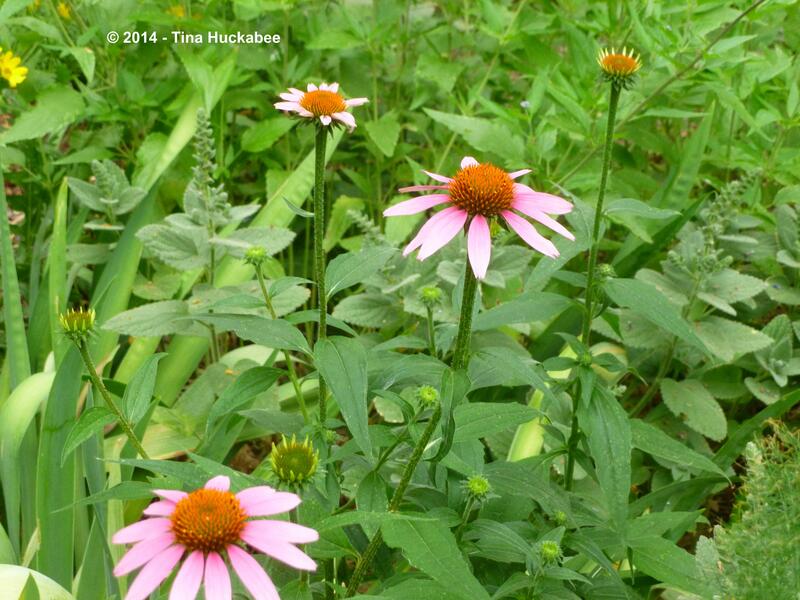 A favorite spring and summer bloom for butterflies, bees and people is the Purple Coneflower, Echinacea purpurea. Here it resides across from patch of cheery Zexmenia. 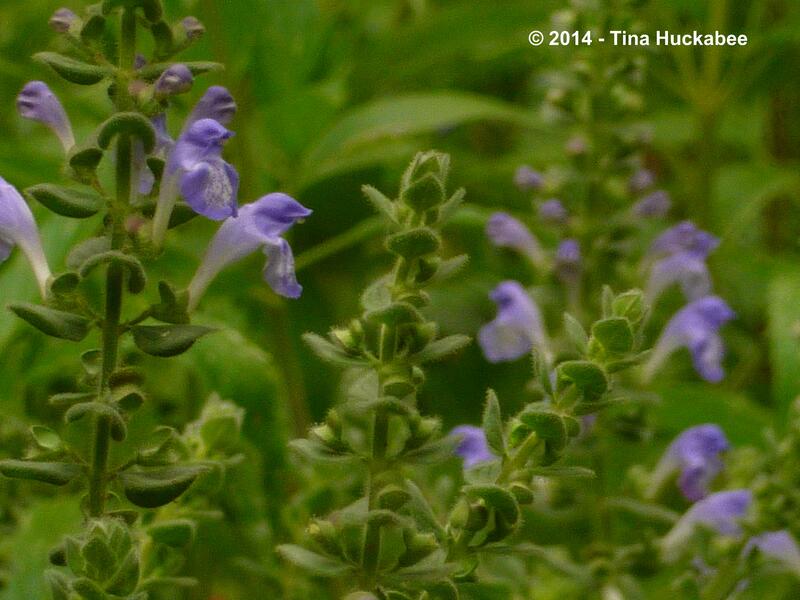 The Heartleaf Skullcap, Scutellaria ovata ssp. bracteata, is a beautiful, spreading ground cover which develops stunning blue/lavender flowers, blooming April through June. 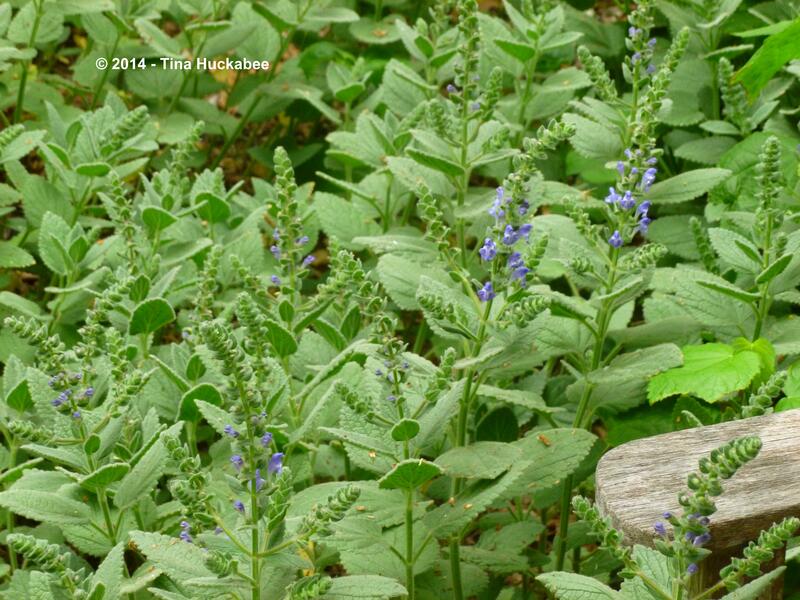 In the late spring garden, the Heartleaf Skullcap is stunning–in both bloom and foliage. and the creamy yellow is the ‘Claude Ikins’ Lily. 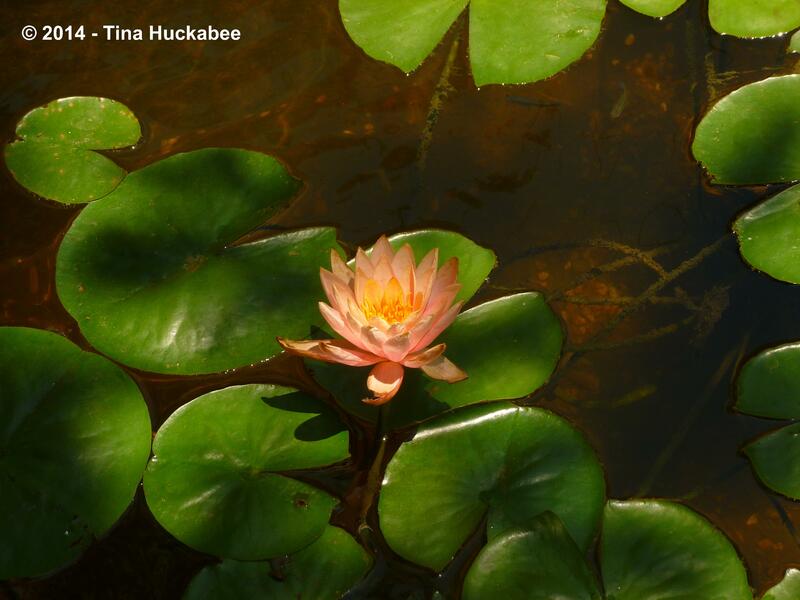 Both lilies bloom almost year-round in my pond, even occasionally in winter. Revel in your blooms, wherever you (and they) May be. 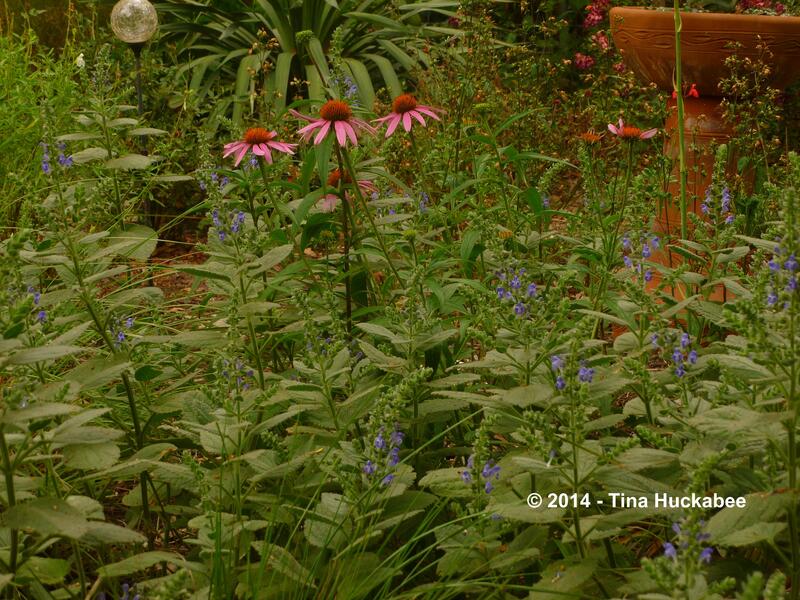 Thanks to Carol at May Dreams Gardens for hosting Garden Bloggers’ Bloom Day for May. 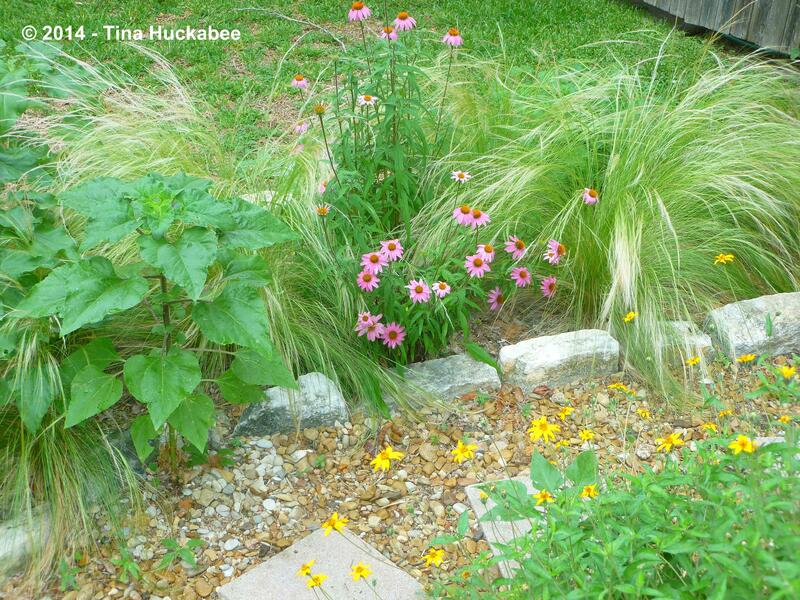 This entry was posted in 'Claude Ikins' Lily, 'Colorado' Lily, Bloom Day, Echinacea purpurea, Heartleaf Skullcap, Pale-leaf yucca, Purple coneflower, Scutellaria ovata ssp. 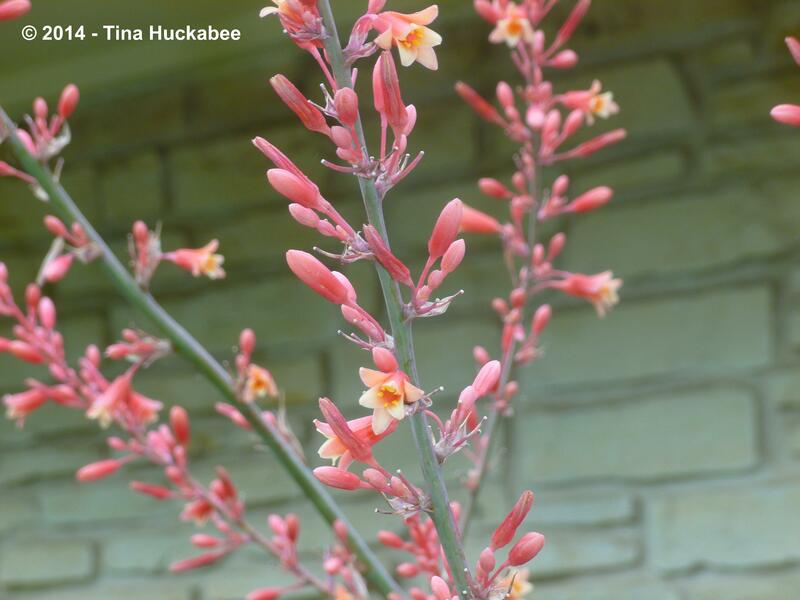 bracteata, Twist-leaf Yucca, Uncategorized, Wedelia texana, Yucca pallida, Yucca rupicola, Zexmenia and tagged 'Claude Ikins' Lily, 'Colorado' Lily, Echinacea purpurea, Garden Bloggers' Bloom Day, Heartleaf Skullcap, Hesperaloe parviflora, Pale-leaf Yucca, Purple Coneflower, Red Yucca, Scutellaria ovata ssp. 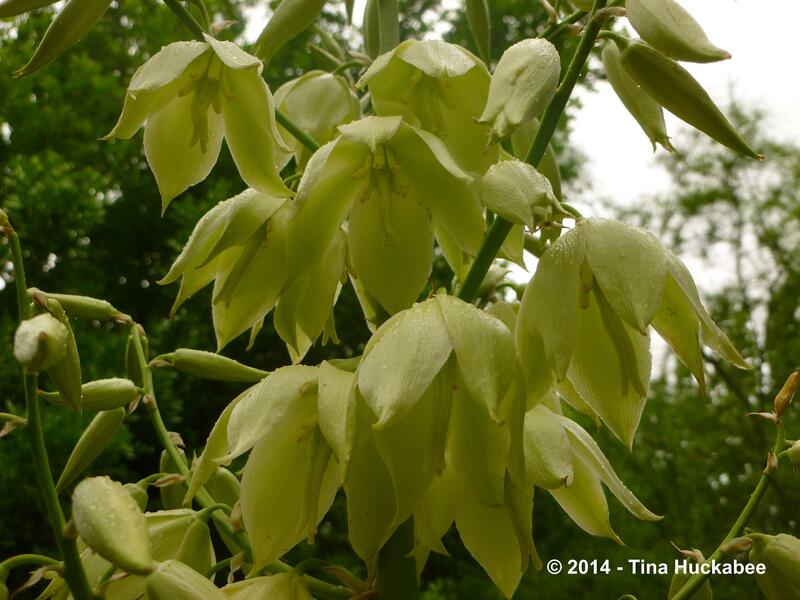 bracteata, Twist-leaf Yucca, Wedelia texana, Yucca pallida, Yucca rupicola, Zexmenia by Tina. Bookmark the permalink. Thanks, Deb! I love our native plants–I don’t think I’ve ever been disappointed in the performance of any native, though I don’t have deer to contend with (venison anyone??). The rain and the (last?) cool front is so welcome. I don’t really mind our heat and Texas plants can cope with the heat, so…we’re off! I Steph! 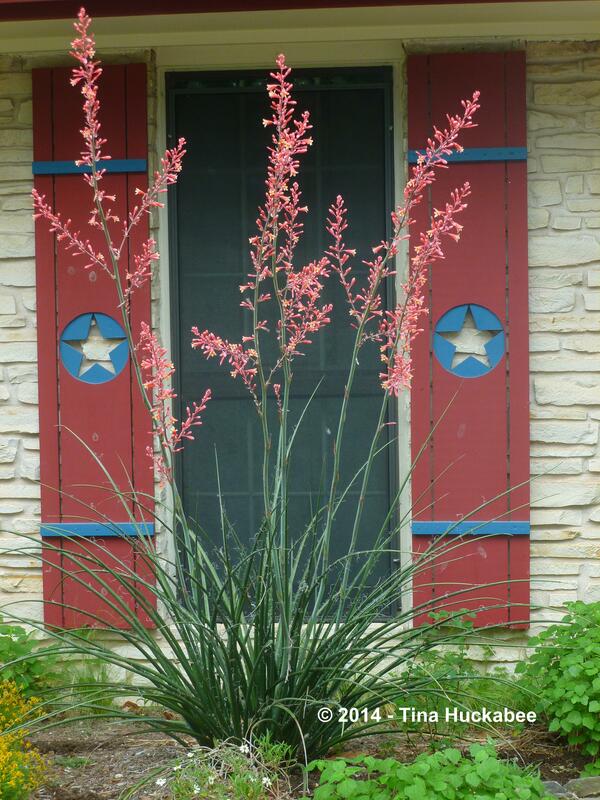 Thanks–I like the Red Yucca there as well. Watch out for that Heartleaf–it does spread. This time of year and into summer, I keep an eye on it and yank it out if it seems like it might smother something. I’ve never had it kill another plant though. The coneflowers are happy here, apparently. I’m glad for that! 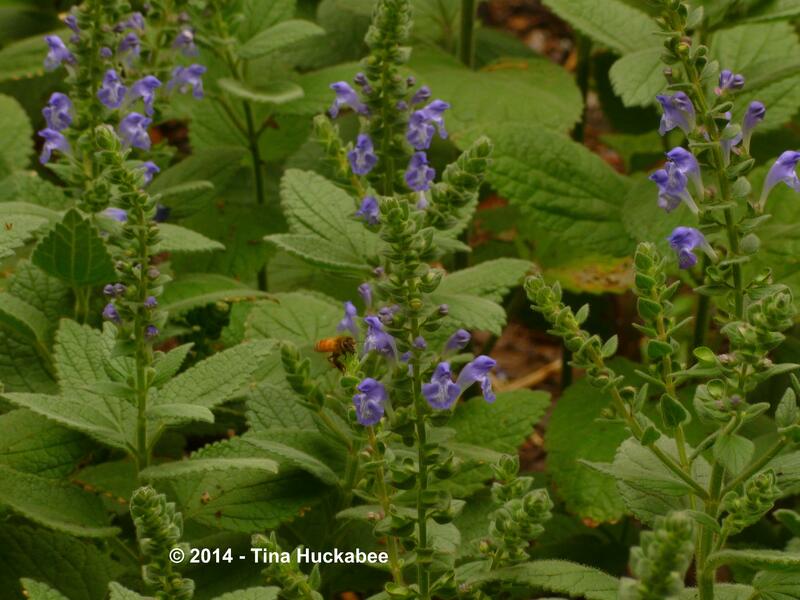 Hmm, skullcap as a groundcover… I wonder how well they would work in my Louisiana garden? Since I get more rain than you all, I never know. But maybe I’ll try anyway. 🙂 Everything looks lovely and your water lilies are way ahead of mine! Hi Jean! You might be a bit wet for Skullcap. They can rot out, though we don’t seem to have that particular problem anymore with our increasingly dryer climate. 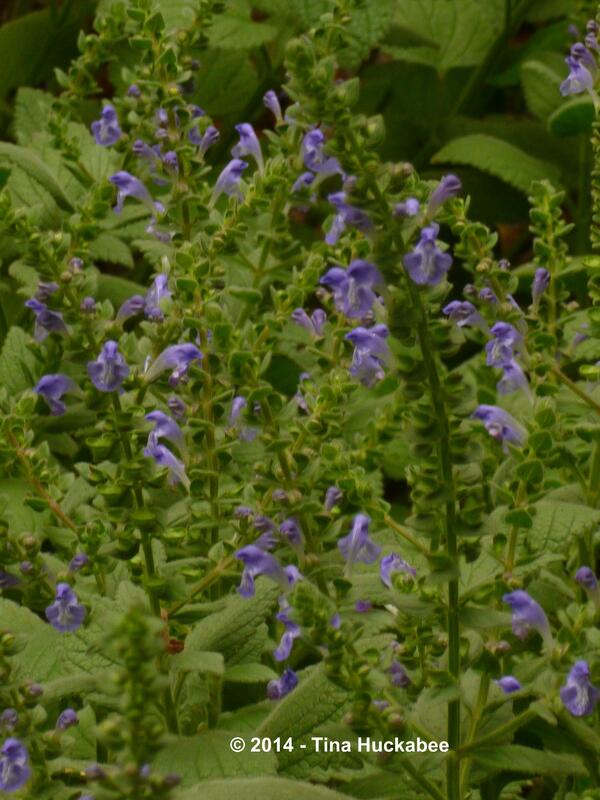 I think that’s actually one of the things that saves Skullcap from being too invasive–it dies off, at least a little, with wet feet. I also pull a good deal out each year. Try it, though–it is beautiful. You’ve plenty going on there in Texas – your Yukkas are incredible. We don’t see them flowering here in Scotland too often! Hi Angie! Our Yuccas are lovely and appropriate for our gardens. But you’re in Scotland and certainly have lots blooming! Thanks for visiting–your roses are beautiful!